The New York State Department of Financial Services (DFS) is looking into the activities of Deutsche Bank in Russia. Media reports suggest the regulator is investigating suspected money laundering in Russia. DFS wants to find out whether $6 billion in trades made by the German bank for Russian clients constituted money laundering, according to a document acquired by the Financial Times. Bloomberg says the department is trying to establish whether the Moscow operation would have helped Russian clients circumvent Western economic sanctions. 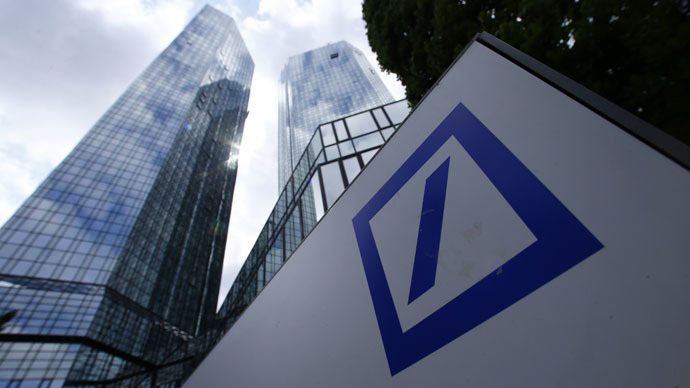 DFS has asked Deutsche Bank to give a full list of the employees involved in the suspicious trading, the identities of counterparties involved, e-mails and other materials. In June, Deutsche Bank launched an internal investigation into securities trades associated with the $6 billion alleged money laundering in Russia. The bank was looking at trades carried out from 2011 to early 2015. This is not the first scandal linked to Deutsche Bank in 2015. In April, the bank was fined a record $2.5 billion by regulators from the UK and US for manipulating market key rates including Libor, the benchmark for interest rates on trillions of dollars of financial contracts. The investigation into money laundering comes in parallel with Russian authorities’ efforts to tackle money being kept offshore. President Vladimir Putin signed a law that allows Russian tax evaders to declare foreign assets and bank deposits to avoid criminal, administrative and tax liability. Amnesty will be granted to everyone who had violated the law before January 1, 2015. A declaration can be submitted from July 1 to December 31, 2015.